I love this recipe! It can be used as a sauce for grilled meats, a dressing for salads or steamed vegetables, or as a marinade for tofu or other lean proteins. You will always find it in my refrigerator. * Tahini, a paste made from sesame seeds, can be found in the Mediterranean or Middle Eastern foods aisle of your supermarket. No tahini? Use no salt added natural peanut butter instead. Tahini is a paste made from sesame seeds. You can swap another nut butter in a pinch. 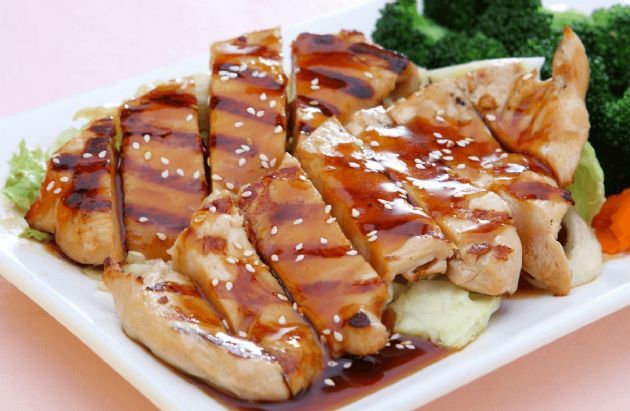 Try marinading boneless chicken in the sauce for a great weeknight supper. Marinate the chicken overnight and you'll get supper on the table in less than 30 minutes. Add on some heat-and-eat (or made-ahead) brown rice, a serving or two of frozen mixed stir-fry vegetables, and a cup of milk, and dinner is served! This sauce will keep in the refrigerator for 2 weeks. Combine all ingredients except olive oil in a mixing bowl. Slowly whisk in the olive oil.